Although Ebola is only spread by direct contact with bodily fluids, modern transportation has made it easy for disease to be spread worldwide. While mostly contained in South Africa, Ebola has made the leap across the Atlantic into the heart of the U.S., Texas. The New York Times reports that the patient made the trip from Liberia through Brussels and Washington, finally landing in Dallas. When he entered the infectious stage, he had contact with medical personnel and multiple family members, including several children. The children have been asked to stay home until they are shown to be free of infection, but some parents at the local schools are taking the precautions by keeping their children home until the crisis has passed. 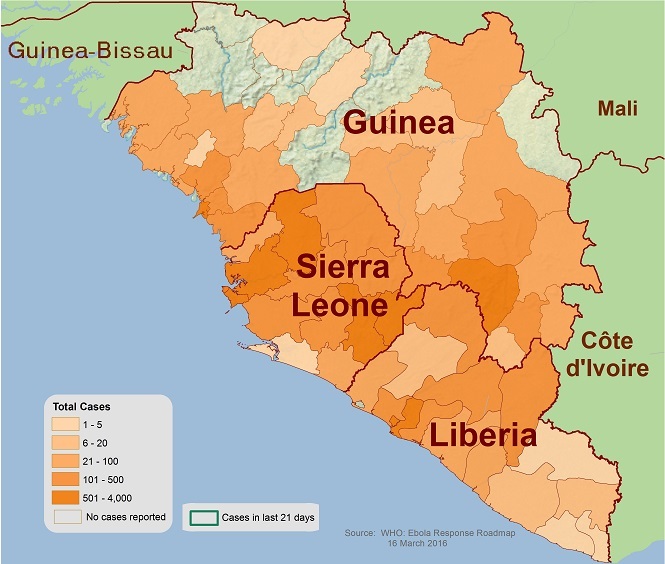 Spatial sciences can provide insight into epidemiological studies such as the spread of Ebola, but we need to use them with caution. As Mika JP Rytkönen wrote in his article, Not All Maps Are Equal: Gis and Spatial Analysis In Epidemiology, maps can be misleading. While visually compelling, understanding spatial distributions requires an understanding (and thorough testing) of the underlying statistics, especially when the environmental conditions play a significant role in the spread of disease. This does not dismiss the fact that modern mobility simplifies the spread of disease-causing vectors. It does, however, caution us against panic. We should keep in mind that Ebola has now come to an inhospitable environment where advanced treatment has led to the recovery of several patients brought to the U.S. Admittedly, there is a greater chance of exposure in this case due to the children involved (kids are great at spreading disease), but it looks like officials are being proactive and are working to make the schools safe.